Development of land for employment, will accessed from Greenbank Terrace, and will be known as Mill Bank Business Park with the creation of new employment space for manufacturing, distribution or light industrial. 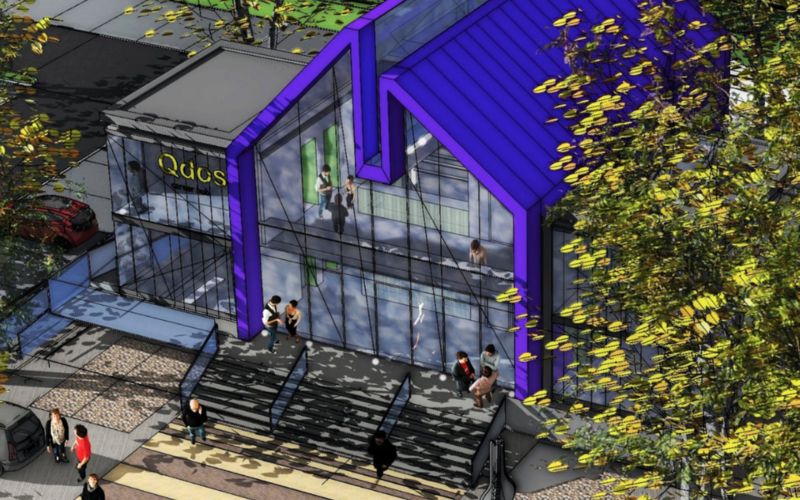 The development is also bringing forward a new Qdos Careers Hub which is being promoted nationally by Manor Property Group, with discussions progressing with the Council and key stakeholders to develop the detailed scheme. Plans for the £5m. educational asset include 10 jobs and opportunities to link up with industries across the world as part of a new way of learning. Through the Qdos Career Hub, we will be able to support around 150 students every day to give them an insight into industry and business across the board. This would include linking up with web conferences and seminars in other parts of the world. In addition the developers are promoting a small residential site off Milking Lane which will complete the development. The development is being carried out in partnership between Barnfield Construction and the Council and site works have already commenced with the demolition of the former derelict office buildings which had blighted the site for over 10 years. The developer has appointed Taylor Weaver and Trevor Dawson as the marketing agents for the scheme and should be contacted for any initial enquiries about Mill Bank Business Park. The outline application will be discussed at a future meeting of Blackburn with Darwen Council’s Planning Committee in early 2019. Detailed plans will be submitted in 2019. Comments are open on the application until December 29th. For more information go to the planning applications on the Council’s website at: http://planning.blackburn.gov.uk and search for Milking Lane.